USD has been empowered by the NFIB small business optimism index data which reached its highest level in 45 years. EUR has been also supported by Euro-zone’s ZEW economic sentiment index. The support rests at 1.15620 with resistance at 1.16070 which the weekly pivot point at 1.15800 is located in between the lines. The EMA of 10 is moving horizontally in the horizontal channel and it is above the EMA of 200 and below the EMA of 100. The RSI is moving on the 50 level, the Stochastic is moving in middle ranges and the MACD line is above the signal line in the positive territory. The ADX is showing weak sell signal. The indicators are not showing any clear signals. 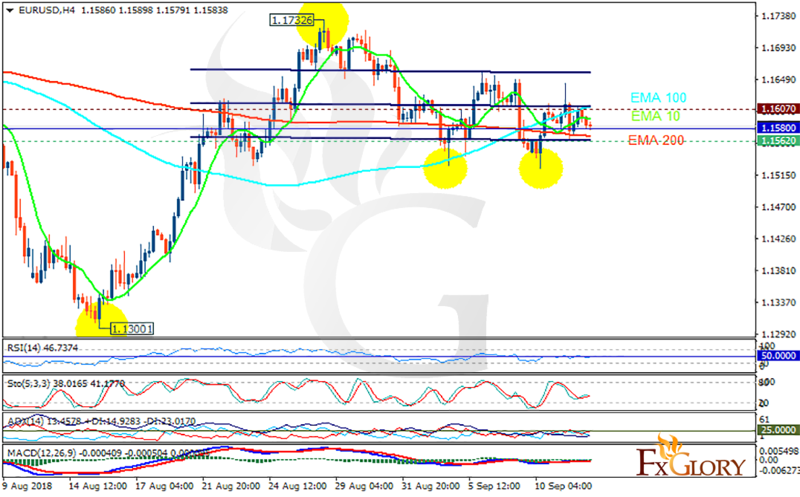 While 1.15 remain the strong support area, the price may grow towards 1.17.